The DHCP relay enables you to forward all DHCP requests to another DHCP server and re-route DHCP responses back to the requesting host. 1. Go to Services > DHCP > DHCP relay. 2. Configure the Primary DHCP server IP address details. 3. 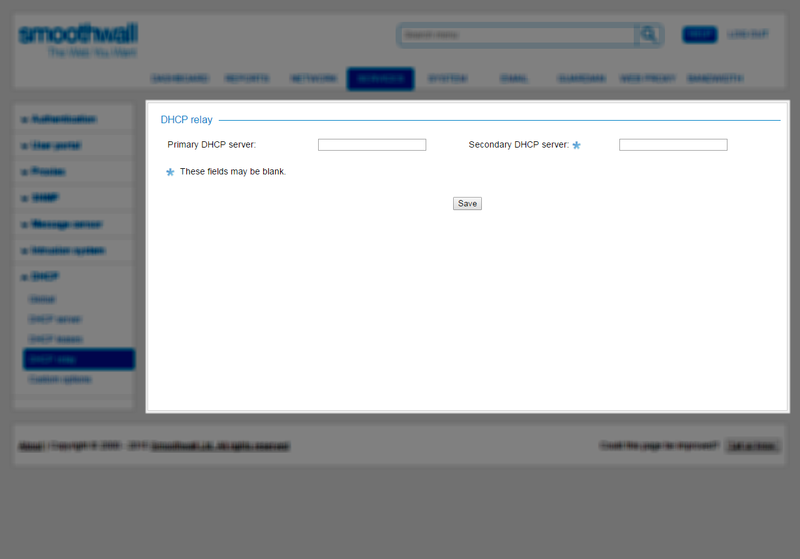 Optionally, configure the Secondary DHCP server IP address details. Note: DHCP relaying must be enabled on the Services > DHCP > Global page, see Enabling DHCP.